Did you know that two of America’s greatest inventors and innovators, Thomas Edison and Henry Ford, both had winter estates in Fort Myers, Florida? These estates are now living museums open to the public. 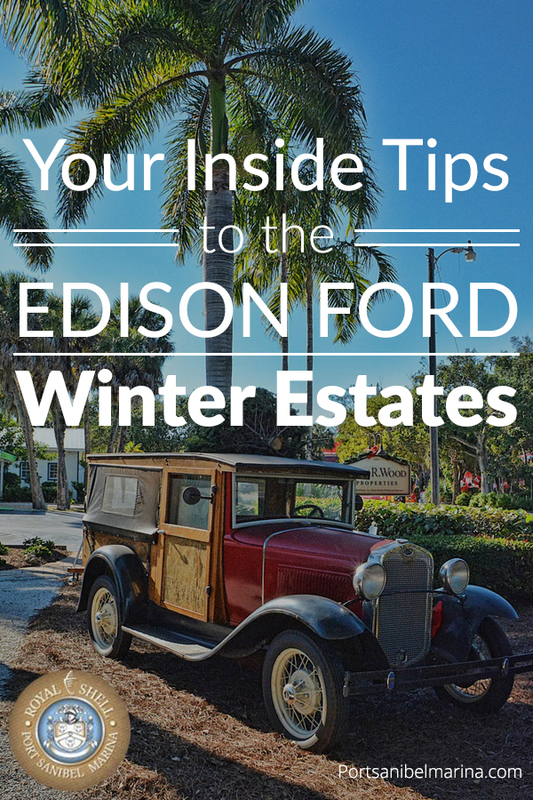 Step back in time as we provide you with the inside tips to enjoy all the Edison Ford Winter Estates have to offer. Edison and Ford both recognized the beauty of Southwest Florida and spent many winters in Florida living next door to each other. This National Register Historic site is one of the most visited historic homes in the nation. Tour groups get a first-hand account of how Fort Myers looked before Edison and Ford arrived. They also have full access to nine historic buildings built in 1929 and a 15,000 square foot museum filled with inventions, artifacts, documentaries and special gallery exhibits. You will learn about the lives of Edison and Ford and how they formed a lasting friendship. Daily museum and laboratory visits are offered. You can also take a VIP home tour to see normally closed off areas of the two estates. Spectators taking a historian guided tour learn how Edison helped transform Fort Myers from a cattle town of approximately 350 residents without roads and electricity into a thriving city on the water. Edison’s 1920 laboratory is on full display here. It’s an historic Botanic Research laboratory, where Edison, Ford and Harvey Firestone planted and did scientific research on plants that still thrive there today. They were trying to find a natural rubber source that could be used commercially for automobile tires, airplanes and in factories during a period of wartime urgency. The 15,000 square-foot museum has a vast collection of inventions, artifacts, archives and special exhibits. You can see where Thomas Edison and Henry Ford brought inventions to life at the Edison Ford Estates in Fort Myers, Florida. 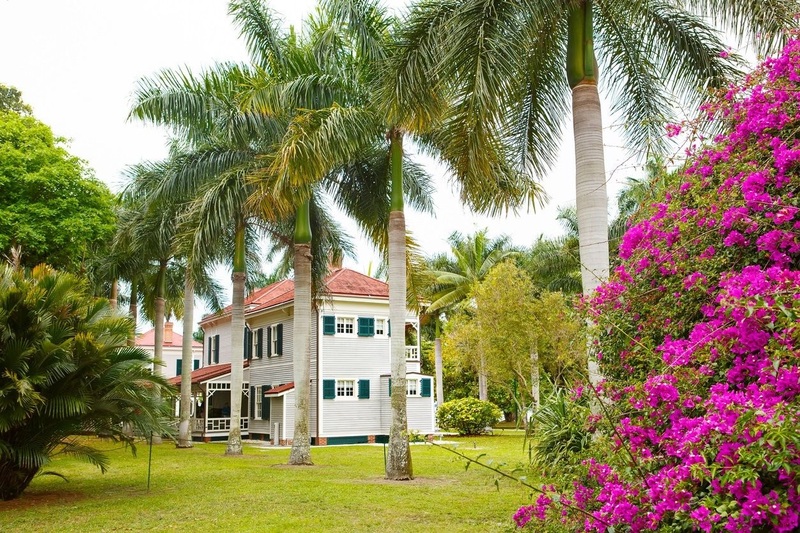 The Edison Ford Estates is also home to more than 17,000 plants, flowers and natural resources. The estates offer more than 20 acres of botanical gardens open to the public. Take a daily botanical garden tour and a meet the horticulturist tour to learn about the plants there. Make sure to visit the Garden Shoppe to buy what is best for your yard, flower bed and vegetable garden. There is also a behind the scenes 90-minute garden tour option. Do you have children with a curiosity for science and inventing? The Edison Ford Estates offers a Young Inventors’ Tour 11 a.m. Saturdays for children of all ages. Kids will learn to be part of an assembly line, play a phonograph and make rubber. The cost is $12 for adults, $8 for teenagers ages 13-19 and $5 for children ages 6-12. Children under age 5 are free. Every February, one of the most popular events in Southwest Florida is the Edison Festival of Light in downtown Fort Myers. The festival honors Edison’s contributions to the area through an 8-day event that culminates in one of the biggest parades in the Southeastern United States. Read our guide to the Edison Festival of Light Parade to plan your festival activities. 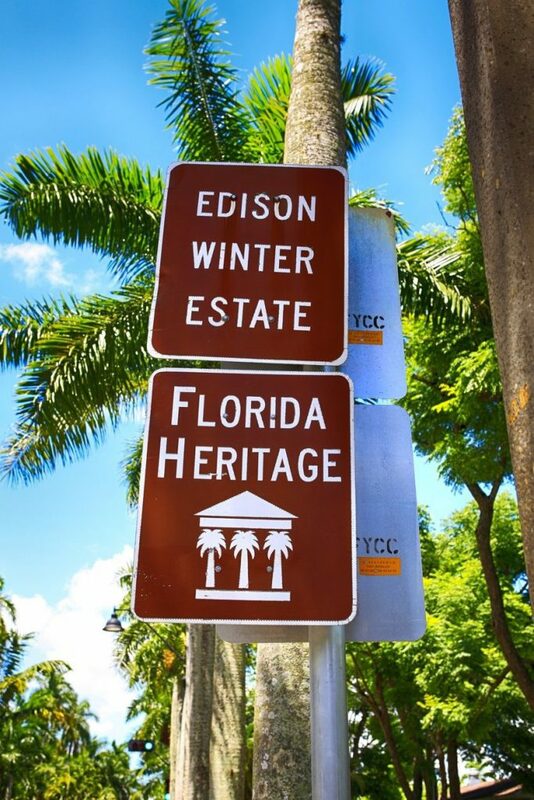 Make your Edison Ford Winter Estates visit today using our road map to plan your trip. The Edison Ford Winter Estates are open daily from 9 a.m. to 5:30 p.m. General admission is $20 for adults, $15 for teenagers ages 13-19 and $12 for children ages 6-12. Add $5 for an audio tour and $10 for a historian guided tour. Group tours are also available if you plan ahead. A variety of monthly programs and annual events at the Edison Ford Winter Estates are offered. You can also schedule a wedding ceremony, corporate event, or private party at the estates. Make your Edison Ford Winter Estates visit today by renting a fully furnished condominium at Royal Shell Vacation Rentals or Sundial Beach Resort & Spa. Experience all that Southwest Florida has to offer by renting a boat today at Port Sanibel Marina. Call us at (239) 437-1660 to book your watersport activity needs today!